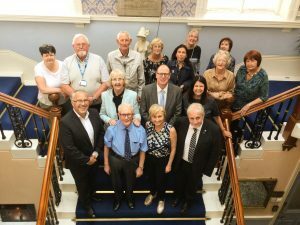 The World Health Organisation (WHO) has welcomed Sefton into its Global Network for Age-friendly Cities and Communities. This milestone has been achieved thanks to the collaborative work of Sefton Council and Sefton’s Older Persons’ Forums. The WHO Global Network for Age-friendly Cities and Communities was established to foster the exchange of experience and mutual learning between cities and communities worldwide. Sefton’s admission into the network is a result of its dedication to promoting healthy and active ageing and a good quality of life for its older residents. As a member, the borough will be part of a growing global movement of communities, cities and other sub-national levels of government that are striving to better meet the needs of their older residents. By joining the Network, Sefton commits to sharing and promoting the values and principles central to the WHO Age-friendly approach, implementing the four steps to create age-friendly local environments, and actively participating in the Network including the sharing of experiences with other members. Cllr Paul Cummins, Sefton Council’s Cabinet Member for Adult Social Care, said: “Earlier this year, Sefton joined the UK Age Friendly Network and I am now delighted to also join a global network of cities and communities that are dedicated to creating environments that support our older residents.